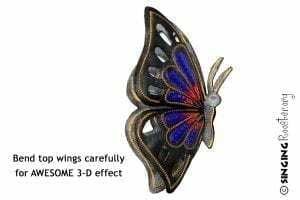 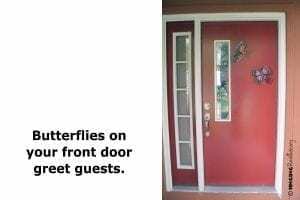 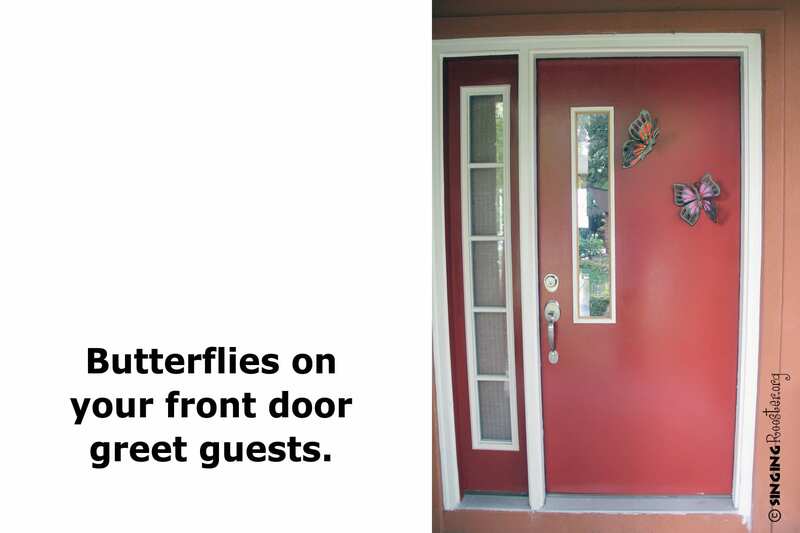 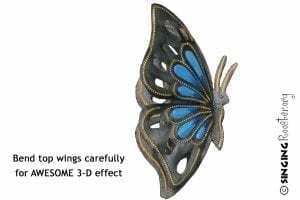 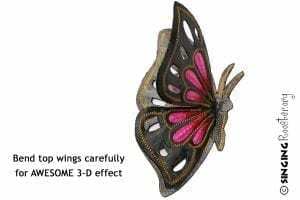 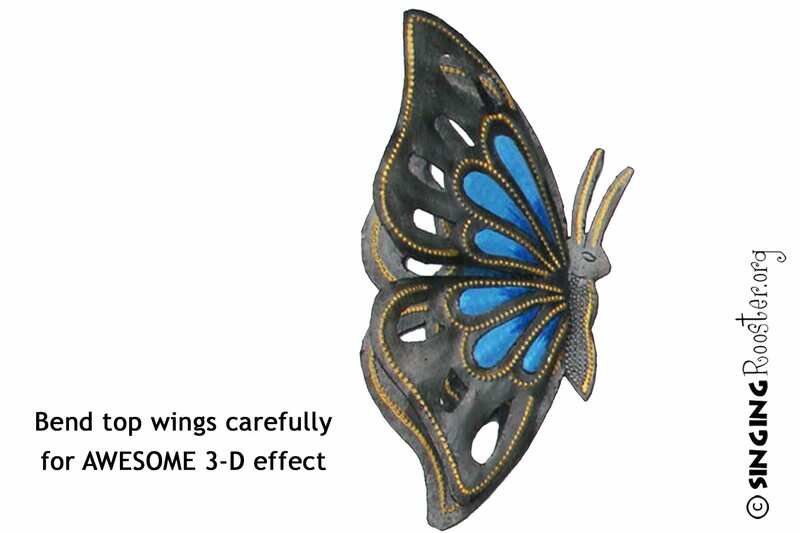 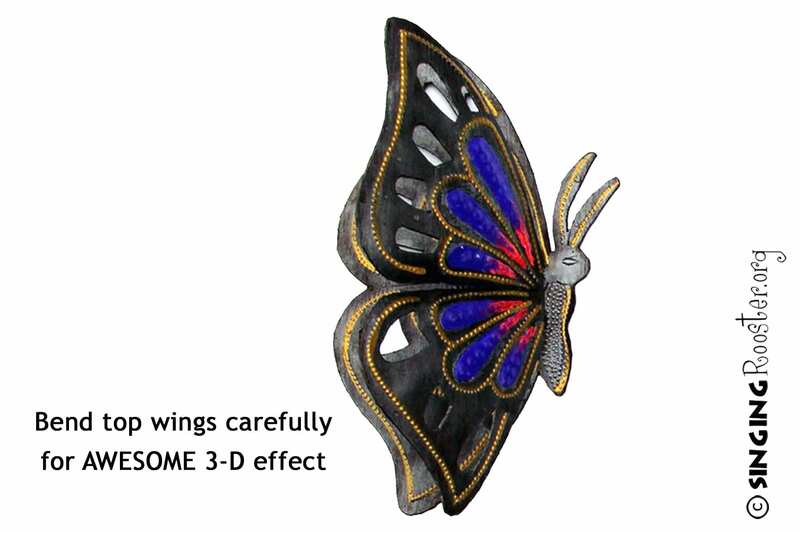 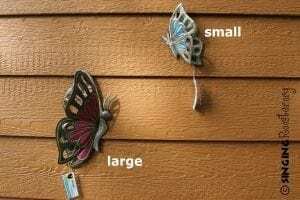 Hang inside or outdoors: carefully bend wings for wonderful 3-D effect. 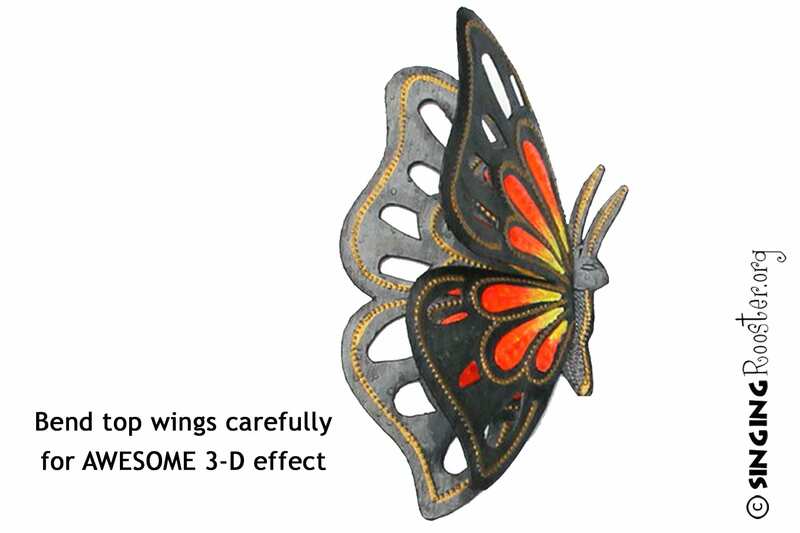 The top coat of varnish wears away over time, and the art piece rusts naturally. 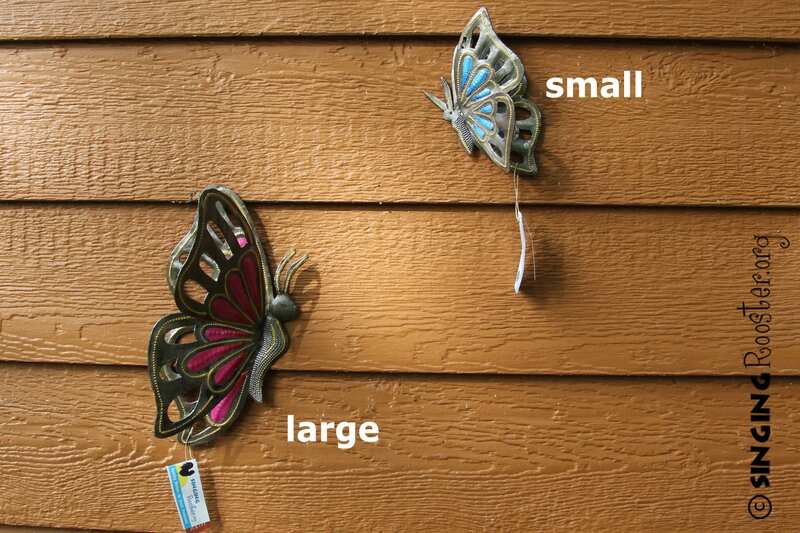 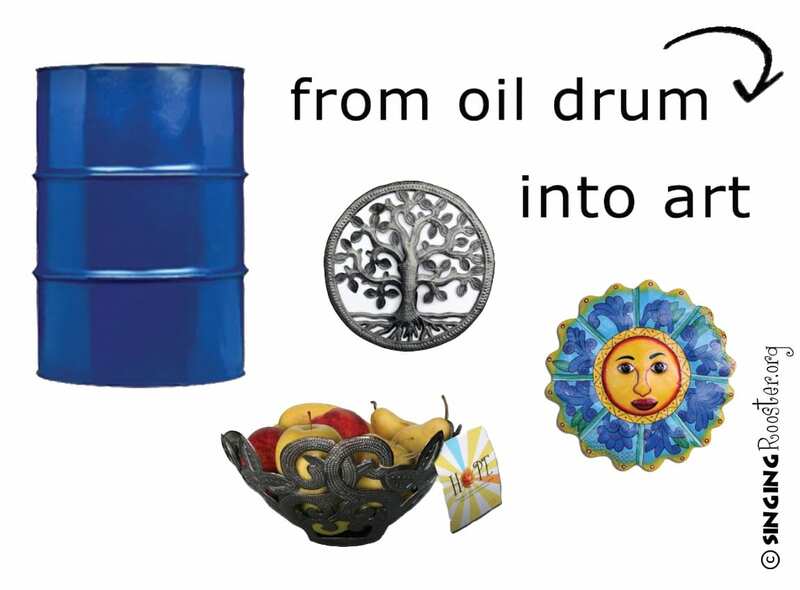 Maintain the original look by spraying with a clear enamel every couple of years.